"Grown Ups" may have been bad, but I'm still a big Adam Sandler fan. With that in mind, I debut a new semi-regular column in which we take a look at the work of a given actor/director/production company/etc. and rank them from worst to first. Feel free to give your input. Haven't seen: "Going Overboard", "Airheads", "Punch Drunk Love"
20. "I Now Pronounce You Chuck and Larry" - There was a funny premise in here somewhere and it did bring Kevin James to the forefront, but there is almost nothing at all funny about this movie. 19. "You Don't Mess with the Zohan" - An absolutely pointless, meaningless, insignificant piece of crap. 18. "Little Nicky" - This might be the least thought-out movie on this list. 17. "Grown Ups" - Half-hearted and lacking in humor. 16. 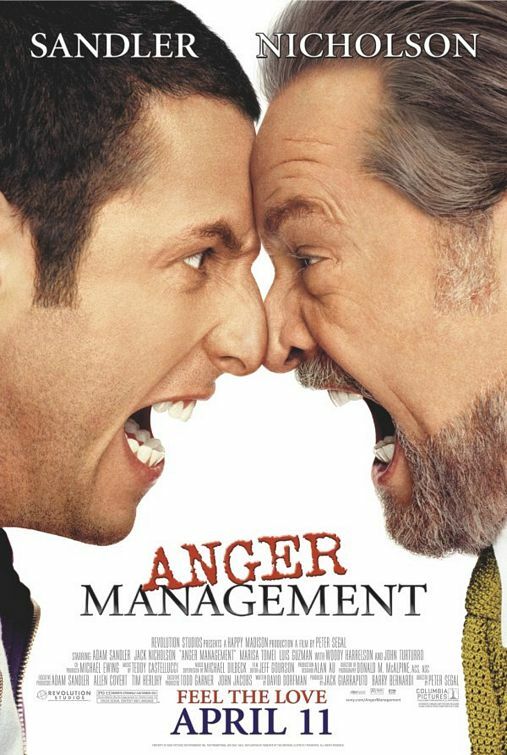 "Anger Management" - I'm still shocked that this one stunk. Sandler plus Nicholson before he completely went off the deep end seems like a sure thing, but it never really got off the ground for me. 15. "Reign Over Me" - This one hurts because it's possibly Sandler's best work. His broken character, whose family died in the 9/11 attacks, is achingly poignant. Unfortunately the rest of the movie is trash, ruined by writer and director Mike Binder. 14. "Eight Crazy Nights" - Sandler's only animated movie, this has some fun moments but not enough to make it truly worthwhile. 13. "Bulletproof" - Not a bad action-comedy all told, this suffers from the Wayans Factor (meaning nothing made after 1991 that features a Wayans brother can possibly be good). 12. "Bedtime Stories" - This has some decent moments but it feels like Sandler is being forced into the Disney Box. Doesn't work. 11. "Mr. Deeds" - Stupid and a bit aimless, Sandler is still quite funny and the supporting players are strong. 10. "Click" - For some reason I really like "Click." It's got the heart that Sandler comedies have become known for and a little less stupidity than some of his other films. 9. 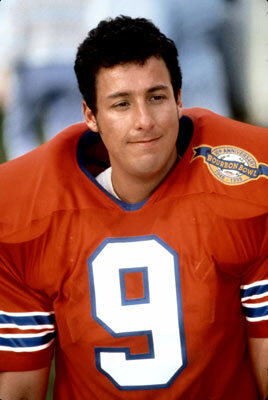 "The Waterboy" - More than any other Sandler work, this is the one that you appreciate less and less as you grow up. Funny, but not nearly as funny as it was when I was a teenager. 8. "Spanglish" - A little bit like "Reign Over Me," though much more fluid. Sandler's actual acting skills are overshadowed by what is kind of a bummer of a movie. 7. "The Longest Yard" - A remake that actually works for me on both the comedy and sports action levels. 6. "50 First Dates" - This, along with "The Wedding Singer," are the only real romantic comedies Sandler has participated in. And while he and Drew Barrymore aren't quite Tom Hanks and Meg Ryan, they ain't bad. 5. "Happy Gilmore" - Possibly the most quotable Sandler film and an awful lot of fun. 4. "Big Daddy" - The first Sandler movie to display some heart along with the comedy. 3. "Funny People" - You either love or hate "Funny People." There is no in between. I found Sandler's terminally ill stand up comedian to be hauntingly authentic and he brought the rest of the film up. 2. "The Wedding Singer" - There's nothing to not like about "The Wedding Singer," even for an 80s hater like myself. 1. "Billy Madison" - The first one is still the best for me. 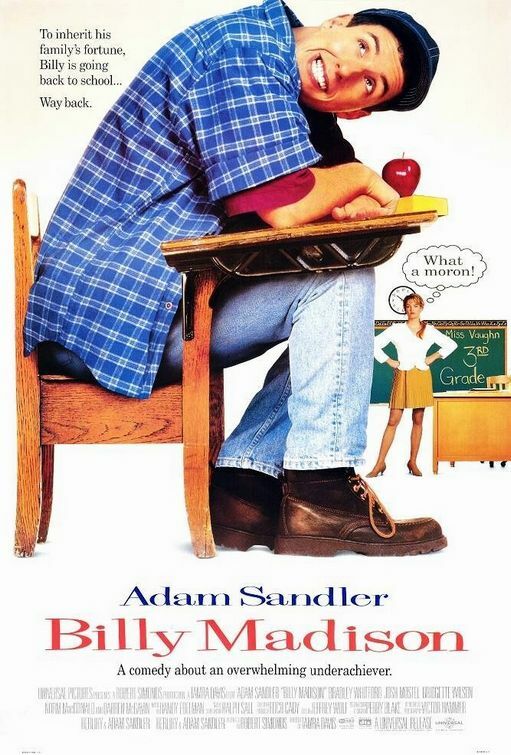 "Billy Madison" took Sandler from the overstuffed ranks of early 90s "Saturday Night Live" and catapulted him to stardom. This is juvenile, immature, and absolutely ridiculous and I still love it.